Arsenal's top four ambitions were dealt a blow at Goodison Park on Sunday afternoon. Arsenal's last two results had left them in pole position for a top-four place come the end of the season. However, their hopes suffered a bitter blow as they lost to Everton 1-0. 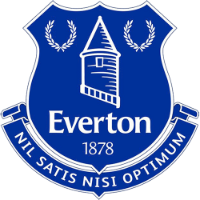 Their performance at Goodison Park was lacklustre, devoid of any creativity or spark as a goal from Phil Jagielka proved to be their downfall. Speaking after Arsenal's win over Newcastle last Monday night, Unai Emery spoke about the need to prove the Gunners could be consistent on the road, as well as at home. Under Arsene Wenger, their away record was terrible last season and it hasn't improved a great deal under the Spaniard this term either. It's hard to pinpoint the issue but there is a clear mentality problem, which resulted in a shocking display at Goodison Park. Their best opening came in the first few moments of the encounter. Alexandre Lacazette was set free down the left but dragged an effort towards the back post which Mesut Ozil then failed to do anything with. Henrikh Mkhitaryan and Ozil were supposed to be Arsenal's main creative outlets, but such was the robust and organised Everton structure that they couldn't pick up many pockets of space. It probably summed up Arsenal on the road this season that they conceded to Jagielka. He was able to prod home after a throw into the box was headed down into the path of the centre half. He initially wasn't supposed to start the game but after Michael Keane fell ill he stepped in and in the process became the eldest player to bag a Premier League goal in 2018/19. Arsenal never really got going. Matteo Guendouzi's radar was off and he put in arguably his worst shift since arriving in north London. Mohamed Elneny also struggled alongside him. But Everton had been superb in their play and Arsenal were fortunate that it was only 1-0 going into the break. Emery hasn't been shy to make half time substitutes since joining and after the interval sent on Aaron Ramsey and Pierre-Emerick Aubameyang for Sead Kolasinac and Elneny. As a result, the Gunners went to four at the back from the three they started with. The two subs made Arsenal considerably better and it was Ramsey who could easily have scored the Gunners' equaliser shortly after half time. Jordan Pickford failed to punch the ball away sufficiently from a high ball and the Welshman then volleyed a great chance wide. It was their best opening of the game so far but Everton were still causing problems themselves. Ainsley Maitland-Niles had a particularly difficult afternoon and gifted an opportunity to Bernard by selling Bernd Leno short with a header. However, the German stopper came out to deny the Everton man who may have found the net if he'd opted for the lob. As the game reached the final 20 minutes it became increasingly stretched. Gylfi Sigurdsson had a deflected shot bounce wide and then Arsenal went up the other end as Mkhitaryan drove inside from the left and bent an effort just wide. Moments later Sigurdsson had another chance. Richarlison was afforded acres of space on the right to pick out the Icelandic international but his shot was tame and straight at Leno. 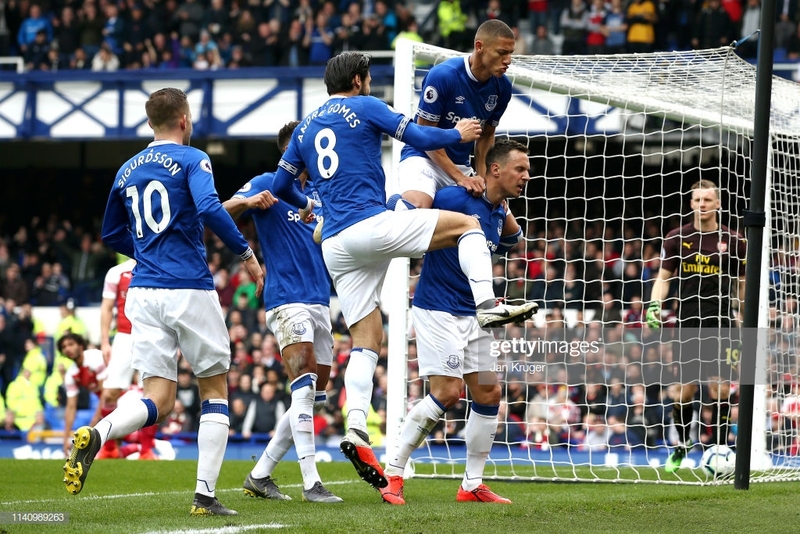 Everton had numerous chances to put the game to bed with Richarlison skewing an effort wide and then Bernard being denied again by Arsenal's goalkeeper with ten minutes to go. Arsenal still couldn't find a way through at the opposite end as Everton managed to hold strong. Everton's Andre Gomes was sensational in midfield, setting the tone for what was a particularly bright Toffees performance. His passing range was excellent, spraying long balls over the top with regularity which caused problems in behind for the Arsenal defence. Having stalled at Barcelona, he's revived his career under Marco Silva with a Premier League loan spell. 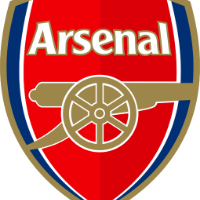 The Gunners unwanted away record just won't go away and with matches on the road against Watford and Wolves still to come, Arsenal's pursuit of the top four may be more challenging than anticipated. On paper, they have the easiest run in out of the clubs chasing Champions League football but if they can't find consistency away from the Emirates then it'll come back to bite them.